As the Asian wing of Mansion bookmakers, M88 (or Mansion88) offer sports betting with a focus on Asian tournaments and competitions, although the UK wing of M88 offers many more British and international games to bet on. With sports such as football, basketball, tennis and golf being M88’s forte, the site features live in-play betting features for both desktop and mobile users. Our M88 overview breaks down this online bookmaker, looking at M88 betting odds, the M88 betting app and M88 Payment methods, among other details you need to know. With an eye on available promotions and bonuses for new and current users, this review will help you make a decision to sign up. Mansion has a huge online presence, and M88 is no different, operating as an Asian online betting platform. In the UK, M88 operates under a UK web address with a UK gambling license from its headquarters in Gibraltar. Although not a huge name in the Western market, M88 may look familiar to many football fans due to their sponsorship/betting deals with AFC Bournemouth and Leicester City, amid growing visibility in the footballing world. Founded in 2007, the UK wing of M88 is both powered and managed by Vivaro Limited. Despite their lesser-known status in the UK when compared to other leading bookmakers, M88 is actually one of the biggest in the world, holding over half of the world’s betting market with fellow Asian bookmakers, SBObet. As a result, M88 UK and the Asian M88 operate differently from one another, with the UK version taking on a more European flare. Players generally appreciate the layout and design of M88, which features an easy-to-navigate sportsbook aesthetic with up-do-date in-game graphics and an easy depositing and withdrawal process. Live help is limited on-site, with an e-mail being the most obvious means of communication if you run into any difficulties ([email protected]). In terms of reliability, M88 is a trusted international brand which is registered in Gibraltar with licenses from the UK’s gambling commission. With multiple depositing and withdrawing options, the impressive games portal allows users to follow many live in-play games and bet accordingly. The real boon here for many players is the massive number of sports markets available to choose and bet on. What’s more, players appreciate the customised format in displaying odds – be it decimal, fractional or nation-specific. In terms of cons, there is no live streaming available for sports events and the absence of a permanent live chat feature could be improved. When signing up to M88, remember to take advantage of their welcome bonus outlined below, which allows you to gain a bonus match on a deposit of up to £25. Players should take advantage of the regular promotions which take place with new sporting seasons and events like World Cup raffles. Lastly, make sure you choose the correct UK URL, as the main M88 bookmaker is oriented for the Asian market and does not accept UK players. Our reviews look at the top betting bonuses out there. Although M88’s welcome bonus is nothing out of the ordinary, it is well worth using when signing up to this global brand. M88’s sports welcome bonus offers a 100% bonus of up to £25. To be eligible for this promotion, newly registered users have to deposit a minimum of £5 and place a bet on at least 3 events within 14 days of registering. You will then receive a Free Bet Token equivalent to your first bet. There are some conditions with this bonus, such as minimum odds of 1.8 and restrictions of some eWallets deposits like Paysafe. After claiming your bonus, simply use your free credit on a bet. You cannot withdraw the credit outright as you need to stake and bet your credit to claim any winnings. M88 offers access to a number of sports markets, encompassing everything from tennis through football and basketball. Odds can be formatted in a number of ways, be it Decimal, Fractional, American, Hong Kong, Indonesian or Malay. As such, there is a very large range of markets available on M88, with a particular focus on football owing to its sponsorship of teams. M88 betting odds are reasonably competitive, with bettors able to track the changing odds throughout the game via statistics. It is best to shop around if you’d like to find the best betting odds, as every bookmaker is different. Live betting is easy to follow at M88, with M88 live betting odds and multi-view windows allowing for in-game and in-time betting over multiple games and outcomes. Live betting is simple and easy at M88, with a live score and live results service where prices, odds and outcomes are updated instantaneously as results come in. As with other bookmakers, new bets can be made in-game and bets can be withdrawn within a limited time frame. See our reviews for the best Live betting bookmaker out there. Like many of the best bookmakers on the market, the minimum bet limit across M88 is set at just 10p, meaning that smaller wagers and stakes are allowed on any and all of their sportsbook games. What’s more, there is no specific maximum bet limitation across all sports, and M88 is generally regarded as holding some of the highest stakes in the bookmaker business. To see maximum stakes for each sport, you must check each betting slip before betting. In general, the betting limits are higher than other players on the market, meaning that M88 is a firm favourite for high rollers worldwide, and particularly in Asia. There are specific limits on winnings in a single day, including £25,000 on major football leagues and £12,500 on horse racing. Where many of the best live streaming bookmakers now feature streamed up-to-date video content with commentary so that users can follow the game as it progresses, M88’s UK bookmaking site is distinctly lacking in live streaming capabilities. M88 Live streams consist of animated graphics and writing only, notifying you of the game’s result, player position placement, statistics, etc. 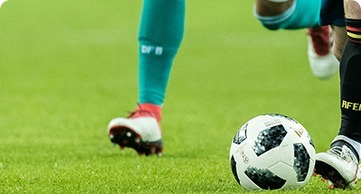 There is no video feed or in-game commentary on M88 during live games, so viewers will have to listen to the radio, watch the television or have another window open on their computer if they want to truly follow the game while betting. There is no M88 betting app available for the users outside the UK market, so Apple iPhone, Android and Windows smartphone users must use their in-device browser and a VPN to access M88. Betting apps are an ideal way to bet on-the-go, but they’re not entirely necessary if a bookmaker is mobile compatible. With M88’s mobile website, players have access to the exact same features as their normal online bookmaker site, without the need to install an app. The mobile website is designed so users can place their bets via their tablet or handheld device. When placing your bets remotely, make sure you have sufficient coverage and data, or that you are connected to a safe and secure wireless network. For residents of the UK, M88 is providing native Android and iOS betting apps that can be downloaded from their respective stores. M88 payment methods include many of the staples found across other online bookmakers, with depositing and withdrawing available via Skrill, Wire Card (Visa/MasterCard), Neteller, Safe Charge (Visa/Master Card) and Eco Payz. Depositing is instant and set at a maximum of £10,000, with a minimum deposit of £1 (except with Wire Card which is £5). Withdrawal time is completed within 12 hours for each service, with a minimum withdrawal of £1 and a maximum of £10,000. All of these services are free to use and will incur no fines or fees. Nevertheless, there are some popular bookmakers deposit methods missing from M88’s list of services, including PayPal and Paysafecard. How would you rate M88?